Night two of the 2017 Stanley Cup Playoffs "only" featured three games, but two of them were of the top-billing variety, while the third involved an awful lot of unnecessary, loud orange. The Penguins' own Dr. 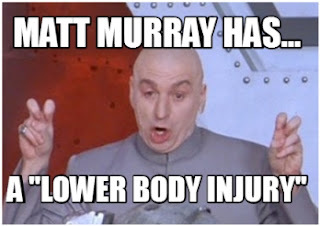 Evil told the assembled press corps that Pittsburgh goalie Matt Murray has the dreaded "Lower Body Injury," and while his status is "Day-to-Day," there is "no timetable" for Murray's return to net. Mike Myers IS Canadian...this explains EVERYTHING! If you're new to hockey, Dr. Evil, or to sarcasm in general, Murray has some kind of ailment ranging from a broken nail to amputation, and the ailment is approximately located somewhere in the lower half of his body, and not even Bo Jackson knows when Murray might return to the ice. Of course, "backup" Marc-Andre Fleury played a sensational game on Wednesday night that spotted the Penguins a 1-0 series lead against the Columbus Blue Jackets. Fleury– Pittsburgh's franchise goalie leader in games played, wins, saves, shutouts, and goals against average (minimum 70 starts)– has struggled in the playoffs since backstopping the team to consecutive Stanley Cup Finals appearances in 2009 and 2010, but was still kept by General Manager Jim Rutherford at the trade deadline in the event of precisely this situation. First, the good news: a giant asteroid, colorfully named "2014 JO25" (see what I did there? ), will fly past Earth on April 19th. Now, the bad news: the asteroid will sail past Earth and not strike the Capitals and Leafs, thus ensuring that at least one insufferable fan base will have their team in the second round of the playoffs. To add insult to injury, the Toronto "DID YOU KNOW THAT OUR TEAM IS ALMOST ALL ROOKIES" Maple Leafs blew a 2-0 lead, allowing two Justin Williams goals to send the game to overtime where Tom Wilson of all freaking people accidentally fired a perfect wrist shot past Leaf netminder Frederik Andersen to give the Capitals the 1-0 series advantage. 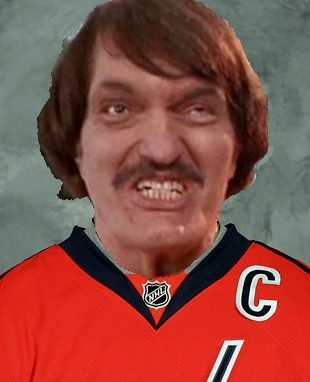 The Capitals, led by the GEICO Caveman "Happy Gilmore" actor Richard Kiel Alexander Ovechkin, won their second consecutive President's Trophy (awarded to the team with the best regular season record) this year, and are looking to capture the first championship in franchise history. Washington looked sloppy throughout, missing on countless "homerun" passes from their own end that resulted in repeated icings and faceoffs by their netminder, Braden Holtby. For his part, Holtby lost his cool and showed up his teammates following the one Toronto tally, a sign that perhaps the pressure is weighing awfully heavy on Washington. 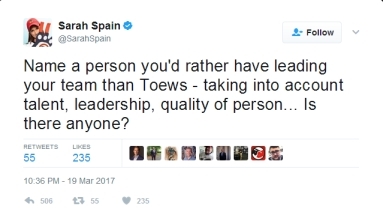 ESPN writer/personality Sarah Spain is a big Chicago Blackhawks fan. She (literally) wears her team colors on her Twitter profile, and I genuinely think it's awesome that she's a FAN as well as a sports reporter. Uh...why don't you ask Team Canada? Spain posted this after Jonathan Toews enjoyed his only good statistical game this season, but she seemed rather unprepared for the absolute ONSLAUGHT of replies she received offering her the name of "Sidney Crosby." Spain's query is all the more remarkable given that Team Canada– given the opportunity to actually choose between Sidney Crosby and Jonathan Toews as Captain– has picked Sidney Crosby to wear the "C" EVERY. SINGLE. TIME. In any case, Jonathan Toews has now played more than 8 full games worth of Stanley Cup Playoff hockey without scoring a goal, a trend that continued last night as the Chicago Blackhawks lost to the upstart Nashville Predators by a final of 1-0. The Blackhawks never looked comfortable and rarely tested Predator netminder Pekka Rinne, and all of the Toews leadership in the world wasn't enough to muster even a single goal. The 'Hawks will look to rebound and make yet another Cup Final this weekend, as they're seen as the prohibitive favorite coming out of the Western Conference. No Canadian team has won the Stanley Cup since the 1993 Montreal Canadians, and after last year, when no teams from Canada made the playoffs, the probability of our neighbors up north changing that seemed pretty dire. 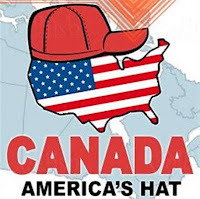 FORTUNATELY for our friends in America's Hat, every Canadian team made the playoffs THIS year...well, other than the Vancouver Canucks and the Winnipeg Jets...but really, who counts them? "If the hat fits, you must admit!" Through two nights of the playoffs, the fans in Vancouver & Winnipeg can take pride in knowing that their golfing franchises have just as many postseason wins as every other Canadian franchise in 2017: zero. The Calgary Flames roared back into the postseason with their hot– dare I say...en fuego?– play, but a series of penalties from Dougie "The Next Raymond Bourque- wait, people actually thought that? REALLY?!" Hamilton and former Penguin Deryk Engelland gave the Anaheim Mighty Ducks enough opportunity to win 3-2 and claim the first game of their Best-of-Seven series. Pittsburgh native John Gibson got the win in net for the Mighty Ducks, and perennial hemorrhoid Corey Perry took a boomerang of a broken stick to the face in what amounts to a "win" for everyone not named "Corey Perry." 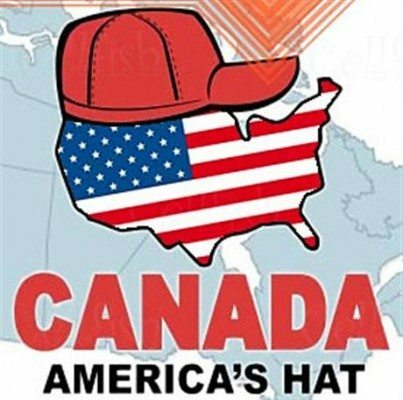 Thanks for reading- feel free to Tweet me at @DXTraeger with your questions, comments, gripes, recipes, or suggestions on what else to call Canada in lieu of "America's Hat"